The Rwandan government – supported by major international donors – has high ambitions to modernise and professionalise the agrarian and land sector to turn Rwanda from subsistence farming into a ‘modern’ and ‘developed’ country. Its reform fits into a broader call to implement a Green Revolution in Sub-Saharan Africa (SSA). It is believed that formalisation of land tenure, investment in modern inputs, and commercialization will drive increased production of selected marketable crops, which will be profitable for smallholders if they are integrated into commercial commodity chains. This, in turn, is expected to lead to increased national food security, exports and growth at the national scale (see Knickel et al. 2009). However, several studies in SSA have shown that there are considerable negative impacts of the Green Revolution policy for significant sections of the rural population, especially poorer socio-economic groups, and more vulnerable farmers. 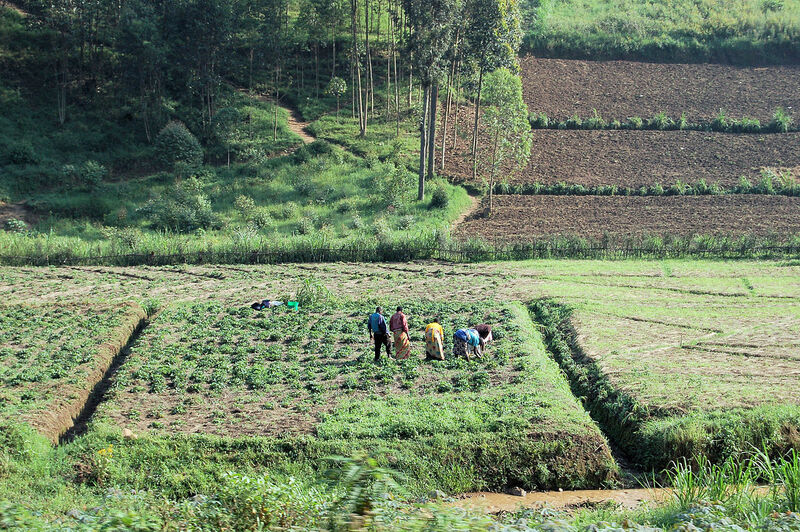 This blogpost focuses upon three key policy dimensions in Rwanda’s agrarian and land sector modernisation: land registration, the Crop Intensification Policy (CIP) and cooperatives. It combines the findings of nine researchers who have done in-depth, qualitative research on the impact of Rwanda’s rural modernisation policies. By combining their findings, these studies cover a broad variety of settings and regions, reaching a fairly broad geographical scale, as the map suggests. The authors did not cover entire districts but locations in districts highlighted in this map. In and outside Rwanda, statistics validate the government’s claim of increased agricultural productivity and poverty reduction as they are viewed as a major instrument in policy design, implementation and evaluation (see Ansoms et al. 2017). However, we argue that they do not adequately capture the impact and success of Rwandan agricultural and poverty-reduction policies. ‘The problem is not a lack of data availability – the GoR undertook significant and laudable efforts to make their datasets publicly available – but rather that different data sources contradict each other and there is no way of telling which dataset is more reliable’ (Desiere et al. 2016, 10). Yields probably increased over the period of the implementation of the agricultural reforms, but less than what the most optimistic but least reliable data source (FAO statistics) suggests (see Desiere et al. 2016). Poverty decreased significantly over the 2005/6 – 2010/11 period but with seasonal effects playing a partial role (see Ansoms et al. 2017; McKay and Verpoorten 2016). Inflation over the 2010/11 – 2013/14 period was probably much higher (around 30%) than the assumed 16.7% (see Desiere, 2017). Under this assumption, poverty did not decrease significantly over the 2010/11 – 2013/14 period, but remained constant (see Desiere, 2017). Land registration: Despite land registration, land conflicts are still widespread and often concern parcels that have already been officially registered. Because people often do not report the transactions of officially registered land, particularly not in the case of small land plots, new land conflicts are likely to arise. In addition, farmers are worried about the ways in which a land register allows authorities to ‘govern’ land rights, as an updated register is a very efficient tool for authorities to push farmers into centrally-organised modern farming systems or to exclude those who resist from access to land. Crop Intensification Programme (CIP): The Crop Intensification Programme started in 2007 and entails 1) land use consolidation; (2) sale of fertilisers and improved seeds; (3) provision of proximity extension services; and (4) improvement of post-harvesting handling and storage. It aims to transform Rwanda’s family-farming into a professionalised sector, and is oriented towards the sale of target crops rather than home consumption. However, on the basis of our evidence, we argue that the CIP is a model that is too simple and rigid as it operates in a complex and variable human, climatic and agro-ecological context. It has often proved to be counter-productive in terms of food and tenure security for the poorest households and other vulnerable groups. Cooperatives: It is through cooperatives that CIP crops are brought to the market and they are key structures in the organisation of the new agrarian model. Not only do they allow for a more coordinated agrarian approach with its emphasis on scale-effects in collective, more efficient, production schemes, they are also instruments in a top-down state-controlled governance model. At the level of implementation, several gaps facilitate the structural exclusion of poorer socio-economic groups, and more vulnerable farmers. This will continue as long as the heterogeneous socio-economic background of farmers is not taken into account. Top-down approaches tend to lead to a financial burden, to production schemes, and to opaque management structures which undermine the cooperatives’ claim for inclusiveness. Our data suggest that for many small-scale farmers the aforementioned policies lead to increased land-tenure and food insecurity, tensions and the exclusion of vulnerable groups. Furthermore, there is limited space for policy transgression and advocacy by CSOs because of the rigid top-down character of Rwanda’s governance system. Large-scale statistics overlook in-depth realities: Empirical evidence derived from both statistical analysis and micro-level qualitative research problematizes the overreliance upon state-generated national-level statistical analysis. Not only does this information source risk being misleading in case of shaky methodologies, but it is inherently designed to overlook and simplify the complex details of social reality (see Dawson 2015). Generation of statistics has a normative dimension: National-level statistics are instrumentalized by governance structures to make reality legible. The creation of statistical information is not only a descriptive activity, but a highly normative one: it narrates reality, and in doing so, it shapes it in conformance with the vision held by the central observer. Top-down approach is blind to unexpected patterns: This ‘panoptical view’ (Scott 1998) is, because of its central and typifying nature, blind to dynamics that do not fit into expected patterns of behaviour, economic activity or interests. This risks creating vicious cycles in which the evaluation and re-formulation of state policy does not benefit from grassroots feedback and from the social responses to their requirements. The transgression of strict policy implementation guidelines and rules are signifiers of such distance between centrally-planned policies and real local life, but the top-down approach of Rwanda policy-making makes it so that they are rarely acknowledged beyond the local context. As an overall conclusion, the authors plead for a more nuanced, in-depth and multi-faceted research approach in order to understand the distance between centrally-planned policies and the realities of rural livelihoods. Prof. An Ansoms (Université catholique de Louvain-la-Neuve, Belgium) has over 15 years of experience on natural resource conflicts and challenges for rural development in the Great Lakes Region of Africa. Giuseppe Cioffo, MA (Université catholique de Louvain-la-Neuve, Belgium) is involved in research on agricultural modernization in Rwanda and is a Program and Policy Officer at the European network for Central Africa (EurAc). Dr Neil Dawson (University of East Anglia, UK) is a specialist in poverty, wellbeing and environmental justice research among rural populations in developing countries and is a member of The Global Environmental Justice Group that studies linkages between social justice and environmental change. Prof. Chris Huggins (University of Ottawa, Canada) is a researcher, lecturer, and trainer with more than 15 years of experience on land and natural resources rights in Sub-Saharan Africa, particularly the political economy of land and agricultural reform. Dr Margot Leegwater (Université catholique de Louvan-la-Neuve, Belgium) has done research on land-related policies and how these affect social relations in Rwanda. Dr Jude Murison (University of Antwerp, Belgium) has conducted extensive field research in developing countries, especially in Rwanda and Uganda, focusing on human rights, health, international business, judicial politics, rural development, agricultural production, and migration. Dr Aymar Nyenyezi Bisoka (Université catholique de Louvain-la-Neuve, Belgium) has expertise on land grabbing by local elites and issues of power and resistance in relation to access to natural resources in the Great Lakes Region of Africa. Johanna Treidl, MA (University of Cologne, Germany) is conducting research into the social and cultural dimensions of wetlands in Rwanda, with a focus on gender and food security. Dr Julie Vandamme (Université catholique de Louvan-la-Neuve, Belgium) has studied agricultural innovation in Rwanda, in particular with regard to banana cultivation. Dawson, N. 2015. “Bringing context to poverty in rural Rwanda: added value and challenges ofmixed methods approaches.” In Mixed Methods Research in Poverty and Vulnerability, edited by K. Roelen, and L. Camfield. Basingstoke/ New York: Palgrave Macmillan. Desiere, S., L. Staelens, and M. D’Haese 2016. “When the Data Source Writes the Conclusion: Evaluating Agricultural Policies.” The Journal of Development Studies 52 (9): 1372–87. Huggins, C. 2014. 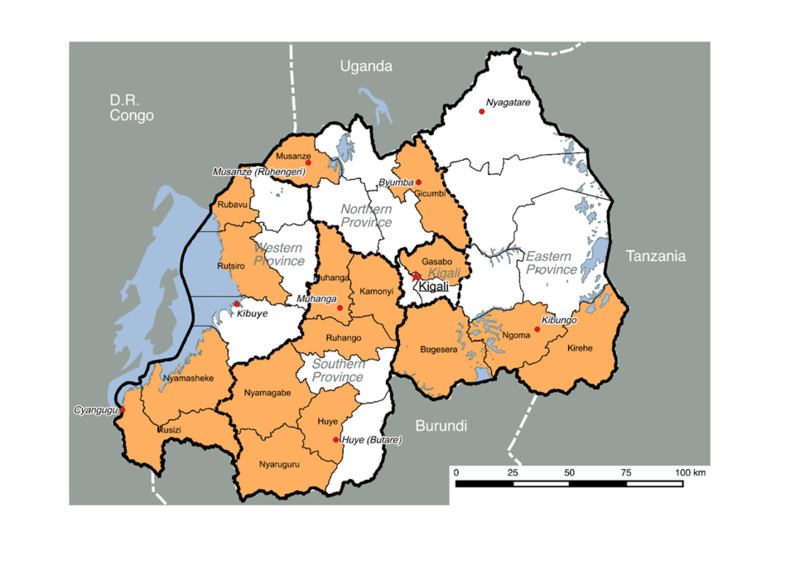 “‘Control Grabbing’ and small-scale agricultural intensification: emerging patterns of state-facilitated ‘agricultural investment’ in Rwanda.” Journal of Peasant Studies 41 (3): 365-384. Huggins, C. 2014b. Restrictions on Land Use Rights in Rwanda: Understanding the ‘Bundle of Land Rights’ in Context. Focus on Land in Africa (FOLA) Brief. McKay, A., and M. Verpoorten. 2016. “Growth, Poverty Reduction and Inequality. In Growth and Poverty in Sub-Saharan Africa, edited by C. Arndt, A. McKay and F. Tarp, Chapter 6. doi:10. 1093/acprof:oso/9780198744795.001.0001. Rwanda Initiative for Sustainable Development (RISD). 2013. Securing Land Rights Project: A Working Paper on Land Tenure Regularization in Rwanda. Kigali: RISD. Scott, J. 1998. Seeing Like a State. How Certain Schemes to Improve the Human Condition Have Failed. New Have and London: Yale University Press. Thanks Drs Aymar and Anson’s for this deep analysis. Based on the findings of your researches and on your extensive experience on Rwanda in this domain, can you share alternatives you suggest to fix the gaps you identified so that Rwanda small scale farmers can benefit more? 1. Sam’s estimate did not take into account regional price variations, which leads to an overestimation of the value of consumption in poor regions. 2. Sam did not include information on the number of months in which each item was consumed. This means that Sam may have over-estimated the consumption of poor households that are likely to consume certain items only around harvest season, when prices are low. This effect would normally be more pronounced in times of crisis. With these two adjustments, Sam would have found that poverty increased by 5.2 percentage points between 2010/11 and 2013/14, which is closer to the estimates produced by other researchers.